The Aqua BioMax dual treatment system uniquely combines cloth media filtration with rotating biological contactor (RBC) technology. 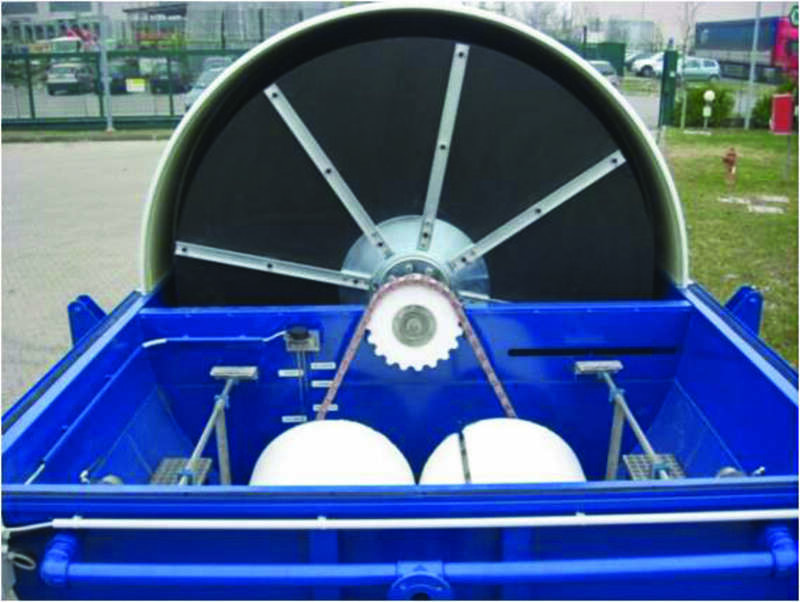 The package unit utilises multiple vertically mounted and closely spaced RBC disks on a steel shaft. Thus, providing a larger surface area for bio film growth. BOD and nitrification removal is achieved through the disks rotating out of the wastewater for efficient aeration. 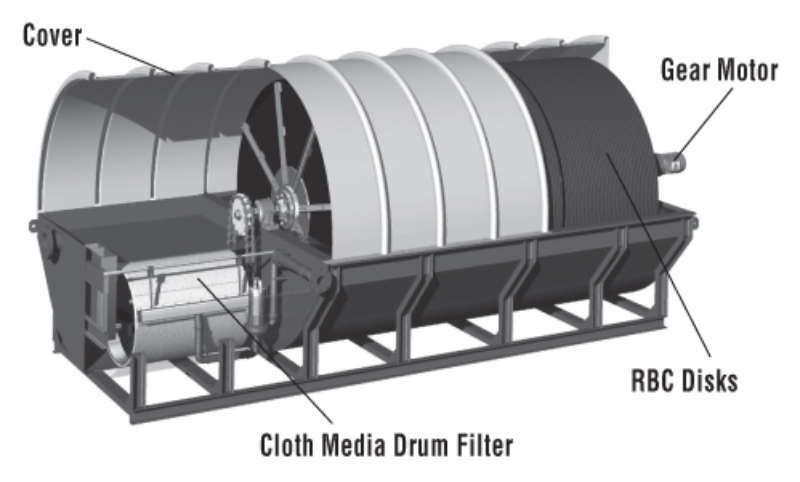 The collection and removal of biological solids is achieved prior to effluent discharge, by using a cloth media drum filter, following the RBC. The use of the cloth media filter removes the requirement for a secondary clarifier. The Aqua BioMax system is an ideal solution for low flow applications (up to 380,000 L/day) where simple operation and economical treatment crucial. blowers, which results in a significant energy efficiency improvement.